Author ngwooshPosted on July 14, 2017 Categories WhateverTags ngwoosh, PayPal, redbubble, stickersLeave a comment on Check out my RedBubble Portfolio! 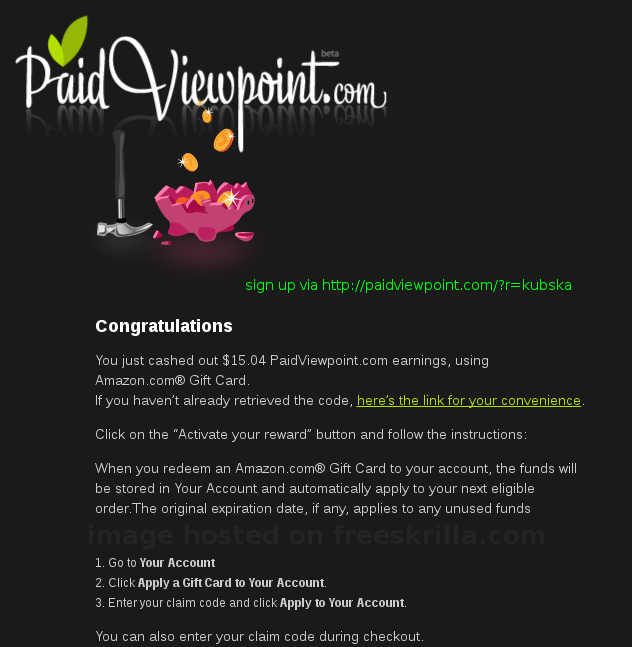 I was surprised to discover today that PaidViewPoint has updated their payment methods. You could always cash out at $15 via PayPal, but now they’ve added Amazon and Wal-Mart gift cards as options as well. 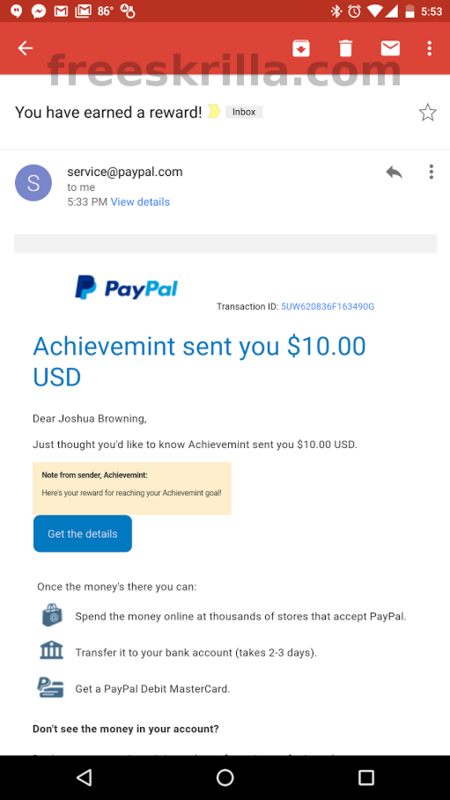 I have payment proof for this as well, having tried the Amazon method. I received payment nearly instantly in this case which was fantastic. 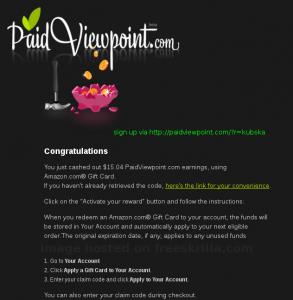 Click here to sign up for PaidViewPoint. PaidViewPoint pays you for short, fun surveys without those annoying 45 minute pre-screeners, where those other guys just drop you off with a “Sorry, maybe next time!” message. I’ve been with PVP for years and they’re fantastic. Click here to find out for yourself! If needed, my personal invite code is “kubska” (no quotation marks). FreeEats will pay you to receive text messages once in a while. 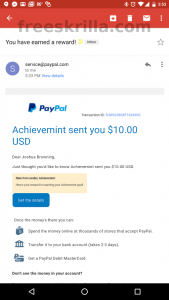 Get $1 for signing up, and a minimum of $0.25 per text sent directly to your PayPal account. So far I’ve earned about $1.25… but if you get unlimited texts with your plan and don’t mind an occasional ad, the extra money is still extra money. You can click here to check out the website, and sign up maybe? Author ngwooshPosted on January 22, 2016 Categories MobileTags Android, iOS, Mobile, PayPal, SMS, TextLeave a comment on Get paid to… receive text messages?